Our expertise in culture, workplace, and education is shaping the cities of the future. 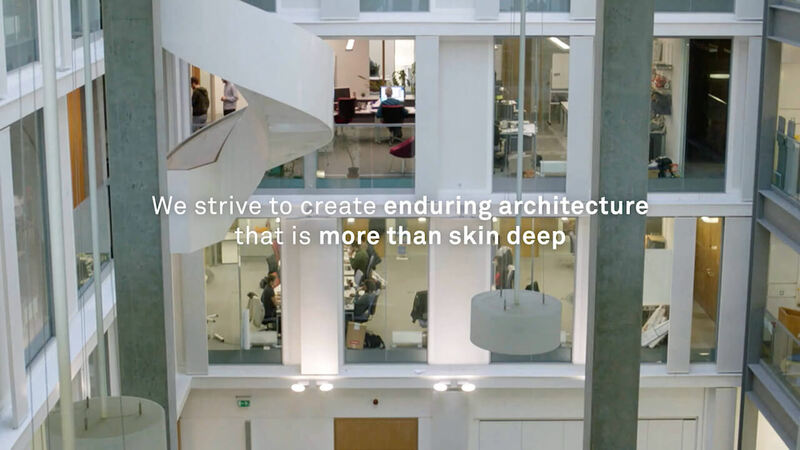 Four films about exemplar, unique projects by our practice demonstrate why these key sectors will transform the way we live, work and learn. We have established a leading reputation for performing arts and civic projects; Storyhouse is a venue that instantly became the flagship for culture and community in Chester. We are part of a revolution in workplace design that is driven by people’s changing needs; 5 Pancras Square is a home for a thousand mobile workers at Camden Council’s headquarters. Innovation in research and teaching, and agile ways of learning are empowering education; Potterrow is a synergetic environment for the future of Informatics and Computer Science. Our masterplans and buildings are supporting regeneration across the UK; 40 Chancery Lane is an elegant, highly crafted base for a leading advertising agency in the heart of the City of London. Bennetts Associates have become the first architecture practice in the world to achieve approved Science Based Targets and commit to the UN’s Climate Neutral Now campaign. Bayes Centre shortlisted for the RIAS/ RIBA Awards 2019. Simon Erridge completes Cycle to MIPIM 2019. Royal College of Pathologists shortlisted for RIBA London Awards 2019.